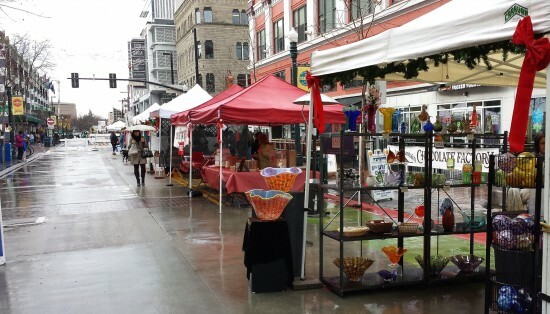 The Farmer’s Market here in Boise lines the street for three city blocks and features local arts and crafts in addition to plant and animal products. Sadly, it is closed January through March; I can only hope someday it will thrive year-round, moving indoors in inclement weather if necessary. My heart goes out to urban dwellers with no access to a winter Farmer’s Market. Just as the twinkle lights on trees and houses offer comforting pinpoints of light in the dark winter nights, farm stands with freshly made products remind us that good local foods (not to mention other treats) are available even if the landscape around us is barren. Light or dense and grainy, savory or sweet, freshly baked goods make a meal special. During this cold season when fresh greens are hard to come by, sprouts are extra-nutritious, easy to grow indoors in winter, and fun to sprinkle onto a variety of foods: baked potatoes, salads, soups, and so on. Speaking of soups, they are a great way to enjoy winter vegetables such as squashes, potatoes, beans, and onions. You can add mushrooms, meats, dried herbs, and canned tomato sauce or juice. I would love to see a selection of homemade soups available at a winter farmer’s market — does yours have such a thing? Specialties of the region might include wine, honey, olives, lavender treats and crafts, or any other creative use of locally abundant materials. 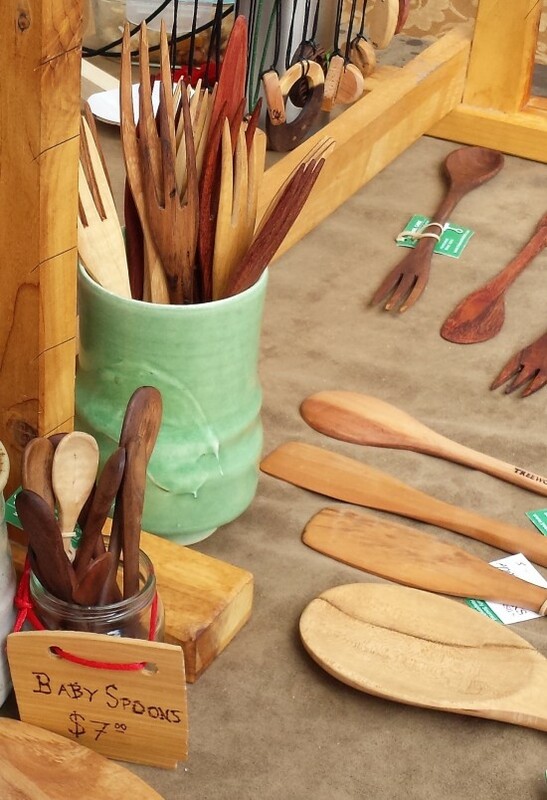 Wooden utensils made from tree trimmings — I hope this idea catches on! At Farmer’s Markets, you can get to know the people who grow your food, including the meat that you eat. You can learn about animal care and feeding practices, cuts of meat and ways to use them, while supporting a local farmer during the lean season. Bringing plants indoors can boost your mood and your health, especially in winter. 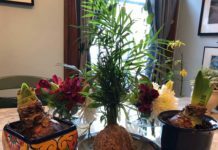 These can be houseplants; live cuttings or seedlings to be moved outdoors when the weather warms; fresh cut greenhouse-grown flowers; bouquets of natural materials such as dried flowerheads, berried or lichen-spotted branches, and evergreen boughs; or cut branches or bulbs for forcing. 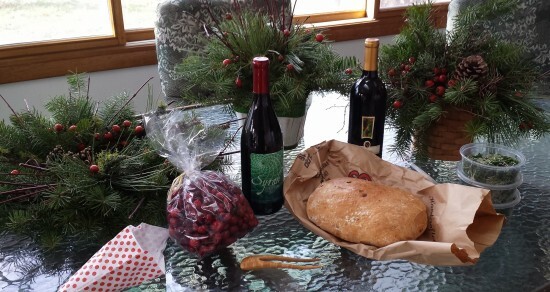 My haul from a recent Farmer’s Market included local wines, regionally harvested cranberries, bacon-rosemary bread, microgreens, a hair doodad made from tree trimmings, roasted almonds (not locally grown but eagerly devoured in the car on the way home), and aromatic festive greenery. These morsels of sensory pleasure help to make the winter brighter and more festive. They give us reason to celebrate this season, even as we look forward to the advent of spring. I say, if you have a winter Farmer’s Market in your town, be quick about visiting it. While you are there, spend freely. And if none exists, work to make it happen. Help a garden center get through the winter: buy a kokedama. Or an orchid. Or something. I’m jealous. My local market, where I volunteer at the info booth, just closed for the season. Long wait until it reopened on Mother’s Day. Here in Fort Wayne, a couple of farmers markets move indoors in the fall and operate all winter long and are very popular. The run-up to xmas is a particularly busy time. Their presence has helped revitalize the downtown area. Our Public Market in downtown Rochester is open year-round, with a special Christmas market throughout December, but out in the hinterlands where I live, the markets are done at the end of October. 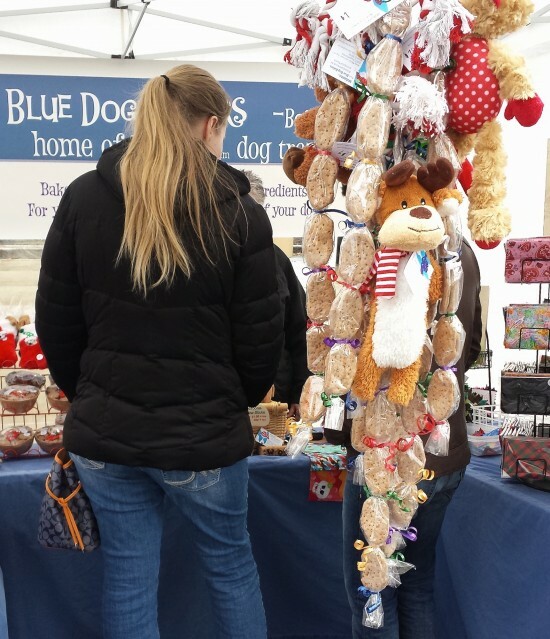 It would be nice to have more year-round markets. And by the way, I trust you didn’t let the kittehs actually nom on any of that stuff – not good for them! Don’t worry, Susan and other cat lovers, the berries are rose hips. My cats were mainly smelling the prickly evergreens. It’s just so much more fun shopping at a Farmer’s Market than the local grocery store. And like you said, you can find so many unique items. And it’s more fun shopping outside anyhow, yes, even in winter months. So stuffy inside. Here in the Greater Niagara Falls area, no markets that I know us. Maybe I should try to get something going. Here in San Diego, it’s mostly just the prices that change. I botched my winter tomatoes and didn’t get around to planting winter zucchini, so I’m dependent on the FM. Citrus, though, is cheap at this time of year. We’re blessed in Manhattan with many, and year-round markets. Not just the big famous places like the Union Square Greenmarket, but block-long lines here and there all over our little island, and many in the other boroughs too. Today at my local, lining a block of sidewalk outside Columbia University, I bought bread and apples and artisanal cheese. I could have had lavender, honey, cider, lots of root vegetables, some greens, or grass-fed beef. And whether I buy or not, I always get the greetings of vendors I’ve come to know by sight. What a treasure. I love farmer’s markets. I wrote to comment on your statement that urban dwellers have no access to farmers markets. 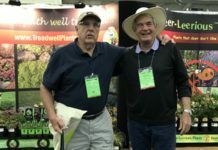 This sparked my interest because from what I see on television, the internet, in my city, and in print magazines; most urban areas do have farmers markets. 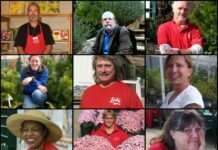 Gardening and providing local produce and goods has been increasing in all neighborhoods and cities for years. Urban areas are filled with edible and flower gardens that sell their grown goods. I live in Philly and we have at least 35 farmer’s markets almost one in each neighborhood as well as community gardens and residents who have small gardens in what ever spaces they occupy be it balcony, stoop, yard, or windowsill. I included some of these in December when I wrote a post entitled Gardening in Philly. I think of New York with their large Chelsea Market although not outdoors and probably a multitude of other outdoor small neighborhood stands selling locally grown produce, fruit, and vegetables. Urban areas do have markets. I wanted to add since you addressed winter farmer’s markets that, yes we have winter markets also. Some are year round. I love our farmer’s market here in Greensboro. Because of our climate, we can enjoy the great fruits and vegetables longer than in many places. In the winter, not as many landscape plants are available, but most of the food products still are. I have also noticed many smaller farmers markets springing up in smaller communities here in NC. It is a wonderful trend! Thanks so much for your article!